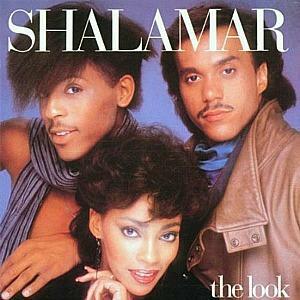 During the 1980s, the American post-disco, R&B group Shalamar were appreciated more in the UK than in their home country. Between the late 70s and early 80s they achieved success with eleven Top 40 hits singles and two Top 40 albums in the UK. Their highest charting songs in Britain were A Night To Remember, I Can Make You Feel Good, There It Is and Dead Giveaway. All of these songs reached the UK Top Ten. 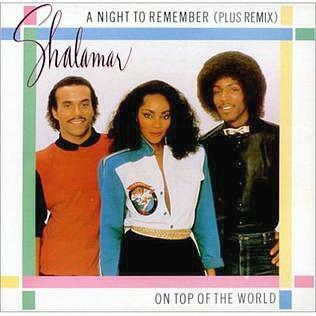 A Night To Remember (1982) was Shalamar's first UK top ten single, peaking at #5 (#44 in the US). It was lifted from the group's sixth studio album Friends. This is memorable in the UK for Jeffrey Daniel's body-popping performance on Top Of The Pops, and soon everyone in the school playground was having a go! This was also before Michael Jackson did his moonwalk. 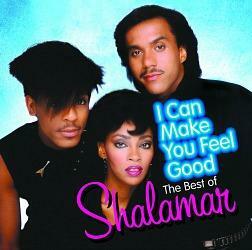 Shalamar's seventh studio LP reached #7 in the UK achieving a Gold certificate. This was the last studio album to enter the UK charts, although the compilation album The Greatest Hits reached #5 in 1986. Dead Giveaway was the first track to be lifted from the album The Look, and reached #8 in the UK and #22 in the U.S. 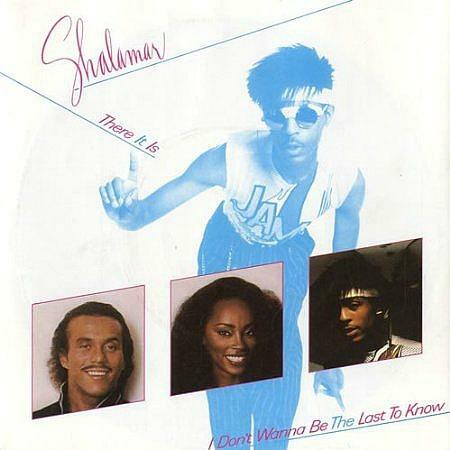 However, by now tensions were building amongst the group members and soon after The Look was released, members Jeffrey Daniel and Jody Watley left the group. Two more songs from the album were released as singles; the aptly titled Disappearing Act (#18 UK) and Over And Over (#23 UK). These were the last singles to break into the UK Top 40. 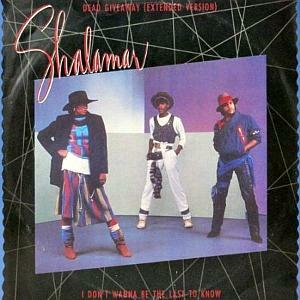 Despite three more album releases with a new line-up of Delisa Davis, Micki Free and Howard Hewett (Delisa Davis was the last original member), the group failed to copy the success of the original line-up. A final album entitled Wake Up was released in 1990, and although it tried to capture the mood of the day with its New Jack Swing style, the album was a complete flop and a sad ending for the trio. Released on 30th Nov 1984, the first LP with a new line-up, Heartbreak, could only reach #90 in the US.